Wärtsilä has received its first two orders, a total of seven engines, for the Wärtsilä X62 2-stroke low speed engine. The Wärtsilä X62 is a midsize engine tailor made for Panamax Bulk Carriers, Aframax or Long Range 2 (LR2) Tankers and Container feeders. It is part of the new Wärtsilä Generation X 2-stroke engine family which was recently introduced to the market. Four new LR2 tankers being built for Kyklades Maritime Corporation, a Greek ship owner, at Hyundai Heavy Industries Co., Ltd (HHI) in South Korea. Three bulk carriers for Suisse-Atlantique, the Switzerland based global fleet operator, to be built at Hyundai Mipo Dockyard's (HMD) facilities in Vietnam. The vessels will be of the new Ecodesign developed by the yards to reduce fuel consumption and emissions substantially compared to previous tonnage. Both orders were signed during the second quarter of 2013 and the engines will be manufactured by Wärtsilä's licensee, Hyundai Heavy Industries Co., Ltd. - Engine & Machinery Division (HHI-EMD), in South Korea. The Wärtsilä X62 engine suits the new Ecodesign vessels as it meets the fuel efficiency and emission targets for the ships. 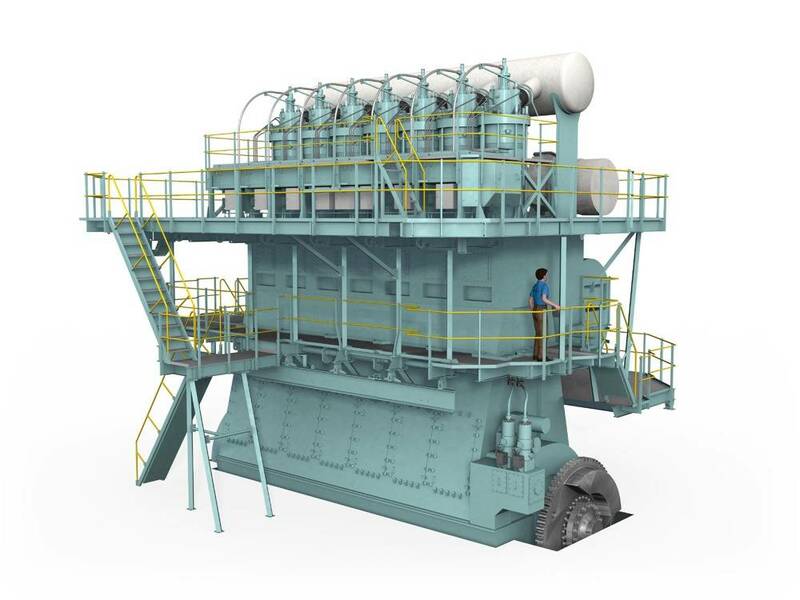 The Wärtsilä X62 gives significant benefits to ship designers and yards by being the most compact and lightest engine in its class. With this engine, designers have more freedom to optimize hull lines and design vessels with higher pay loads and better chartering competitiveness. Compared to earlier generations of main engines, daily fuel consumption savings of as much as 10 per cent can be achieved, while lubricating oil consumption has also been optimized. Delivery of the engines to the four 115,000 DWT tankers is scheduled for June 2014, and the vessels are expected to be in global operation by the end of 2014. The ships will fully comply with the International Maritime Organization's Energy Efficiency Design Index (EEDI), which aims at promoting the use of more energy efficient and thus less polluting equipment and engines. The engines for the three 88,000 DWT bulk carriers are to be delivered in April, July and October 2015, and the ships are scheduled to be launched in June, September and December 2015 and will operate worldwide. "We are familiar with Wärtsilä engines, and know that we can rely on their efficiency and reliability. In particular, the new Wärtsilä X62 engine has features that are very exciting for us," says Mr Alfred Jaeggi, Technical Manager at Suisse-Atlantique.